Beyond the time-saving and efficiency benefits, marketing automation enables business processes that are essential to any modern marketing department. For B2B companies, this includes lead nurturing, lead scoring, and lead lifecycle management. For B2C companies, it includes cross-sell, up-sell, and customer loyalty. And for all companies, it includes marketing ROI analytics. Nurture relationships with leads that aren't ready to buy. On average, only 20% of leads are sales-ready when they first come in. This means you need a disciplined process – known as lead nurturing – to develop qualified leads until they are sales-ready. Done well, nurturing can result in 50% more sales leads at 33% lower cost per lead. Retain and extend customer relationships. The marketer's job is far from finished once someone becomes a customer. For most industries, the real value comes from retaining and deepening the customer relationship over time. This includes selling more of the same product to the customer (up-sell), selling additional products to the customer (cross-sell), as well as customer loyalty and retention. Note that relationship marketing means more than sending a monthly newsletter. You need multiple tracks for each buyer persona and buying stage that "listen" to how the customer behaves, and adjusts accordingly – just like a real-world relationship. "Without marketing automation, you are just guessing – just hoping that people will take the bait and be ready to buy your products. Statistics show that buyers don't do that. They want to learn at their own pace and be reached when they need more information or are ready to buy. 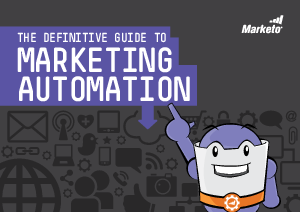 A well-constructed marketing automation strategy makes that a reality."